The new year means new beginnings. What kinds of new beginnings do you want for 2019? How about a brighter, more confident smile? Sure, you could opt for commercial whitening products from the store, but they won’t give you the look you’re after. Professional teeth whitening can give you the results you’ve dreamed of! Here’s what you need to know to get teeth whitening in Hamden. Most teeth whitening solutions use either hydrogen or carbamide peroxide to bleach the stains on your teeth. The key is the concentration and the duration of treatment. Over-the-counter products use a very low concentration and therefore do end in the same results that professional whitening treatments offer. In contrast, in-office solutions contain a high concentration and need only a little time to take effect, while take-home trays sit in between—needing more time than in-office solutions but still deliver dramatic results over time. For in-office whitening, the dentist first records the shade of your teeth. Then they isolate your teeth using gauze and retractors to keep the teeth dry and your cheeks, lips, and tongue away from the whitening solution. Then the dentist coats the front of your teeth with the solution and typically uses a curing light or laser to activate it. Depending on the case, they may reapply occasionally. After about 60 minutes, your teeth will be rinsed, and you’ll get to see the final product. Your dentist may also apply a fluoride solution if your teeth feel sensitive. It is supervised and performed by a trained professional. It can whiten your teeth up to ten shades. Although the process starts with documenting your original shade in the dentist’s office, take-home whitening occurs at night when you apply and wear custom-made trays for between 30 and 60 minutes. After about two weeks, you should see the same results as the in-office treatment. It is convenient and can be done anywhere. It usually causes less tooth sensitivity because the solution isn’t as highly concentrated. Although it takes more time, than in-office treatments, you can get the same results. Professional teeth whitening isn’t right for everyone. 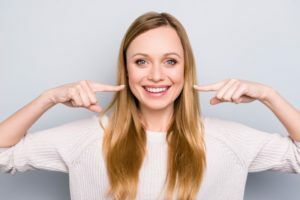 For example, if you have crowns or tooth-colored fillings, particularly on your front teeth, it may not be a good idea to use professional teeth whitening to bleach your teeth. Also, if you have cavities, gum disease, or other oral health issues, your concern should be focused on fixing those issues first, rather than your teeth’s color. However, most people with permanent teeth and good oral health are good candidates for teeth whitening. No matter which professional whitening solution you choose, this year you can enjoy your new, bright smile. It will help you feel more confident to tackle all the rest of your New Year’s goals. Make 2019 a year to remember. Take the first step and talk to your dentist in Hamden to see if teeth whitening is right for you. At D’Andrea and Pantera, the dentists and staff have built their practice on trust, integrity, compassion, and outstanding customer service. For whitening solutions, they offer take-home whitening trays for their patients. To contact them, you can call (203) 288-0951 or click here.